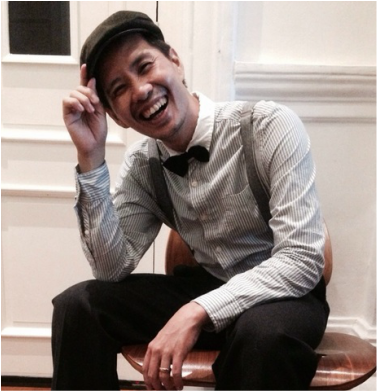 One of our favourite dance instructors is back in KL! If you would like to work on your swing outs and add some flair to your Lindy, these workshops with Brian will definitely help level up your Lindy game. * Private session slots with Brian are available. More info below. Brian discovered the Lindy Hop in 2001 and has been dancing it ever since. Along the way, he picked up the other authentic jazz dances from the Swing Era, such as Tap, Charleston and Vernacular Jazz. He has made a name for himself in social/improvisational dancing for these Swing Era dances. Brian has a talent for breaking down and articulating concepts for students. He teaches and performs regularly in Singapore and has also been invited to Hong Kong and Taipei to teach. Must have completed Beginners Lindy Hop Course. Confident with 8-count Swing Out and 6-count moves and techniques. Must have been social dancing and taking classes regularly for more than 6 months. Must know basic jazz steps (i.e Boogie back and forward, Fishtail, Suzy Q, Shortie George, Fall-off-the-log, Kick step, Triple step), the Shim Sham and Tranky Doo. To book a session, please leave us message with your preferred slot via the form below. If you have any questions or need assistance with registration, please send us a message via the form below! To register for the workshop(s) and/or a private session, please fill in your details below.